Designed to protect industries, governments and individuals from the rising threat of fraud and counterfeit products, S-OneLP is excited to introduce VerifyMe’s RainbowSecure™ security inks and VeriPAS authentication system. Watch the video below to learn more about this innovative technology. 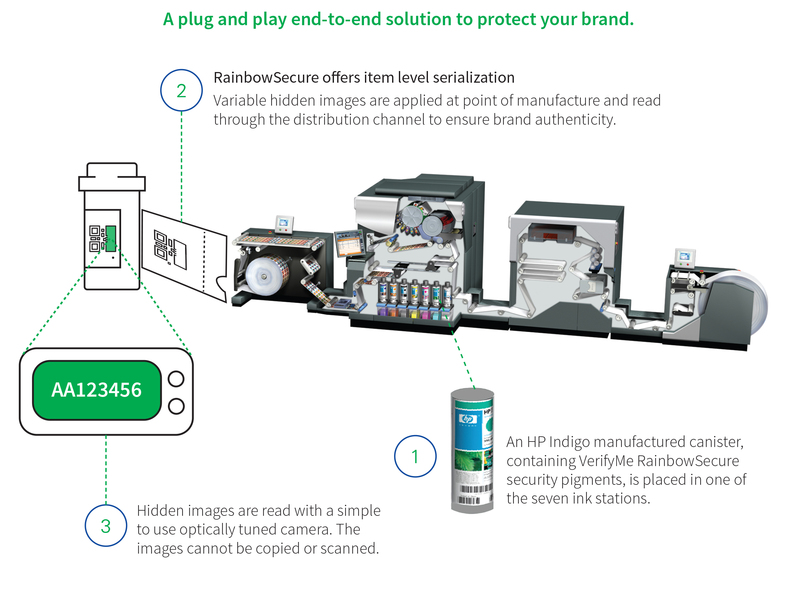 VerifyMe’s RainbowSecure™ is powered by HP Indigo for digital printing, which allows print service providers to create high-quality labels with overt and covert features that would be nearly impossible for a counterfeiter to duplicate. To learn more, call S-OneLP at 941-256-7900. Download the RainbowSecure™ SDS here. Want to know what's happening with S-One Labels & Packaging, sign up to receive our updates. We’ll be hosting 2 educational sessions at @myDscoop on Monday, March 25 that you won’t want to miss! Learn how HP Indigo printers can take flex-pack to the next level at 3:30 p.m.
We’ll be hosting 2 educational sessions at @myDscoop on Monday, March 25 that you won’t want to miss! We’ll be talking OPV possibilities at 11 a.m. in the Solutions Showcase theater! We’re at @karlville today with ePac, learning about @HPGraphicArts HP Pack Ready Lamination System. Join us all at @myDscoop in Orlando next week to learn all the latest on digital flex-pack production! Want to keep up with what’s going on at the S-OneLP? Follow us across our Social Networks.